A few months ago I made a quilt using 2 candy logs of Terra Australis. Candy logs are the same as jelly rolls, a pack of 2.5" wide strips. 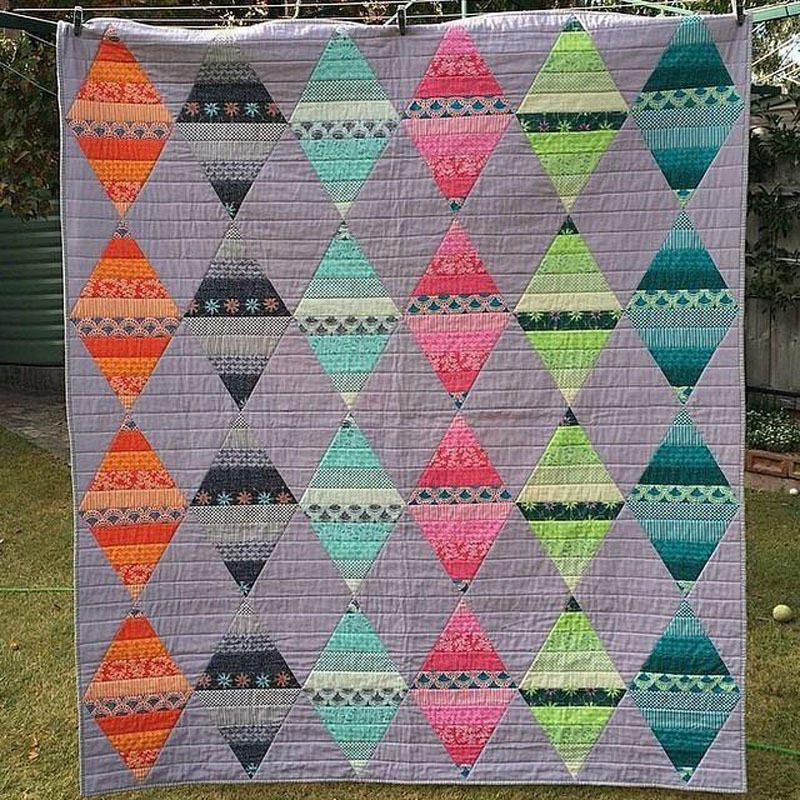 I really enjoyed putting the colours together in this quilt and the silver hanky linen really sets the diamond shapes off. Of course I had to call it Australis Diamonds! 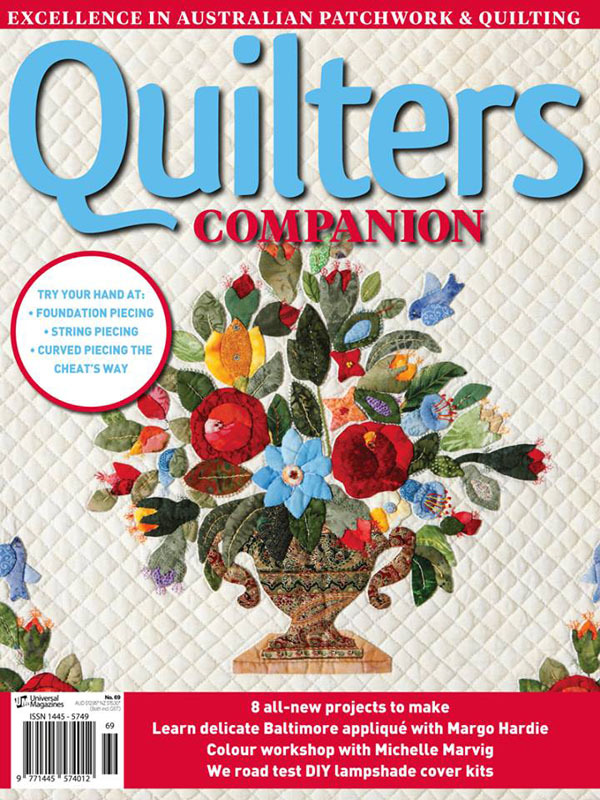 This pattern can be found in the current issue of Quilters Companion, No 69.